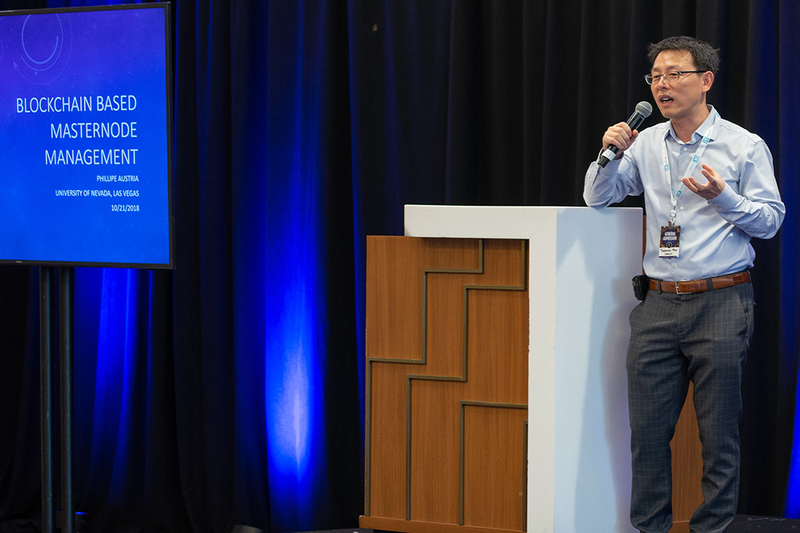 Computer Science Associate Professor Yoohwan Kim introduces one of his students at the November 2018 Crypto Con conference. From cryptocurrencies to IOT device management, proponents of blockchain believe it has the power to change everything. Although blockchain has existed for a decade, the technology has only come into the mainstream over the past year. Most notably in association with cryptocurrencies, and specifically with Bitcoin, the first application of blockchain. Bitcoin is a digital currency, a token that can be used to buy, sell, invest, etc. Blockchain is a distributed ledger technology that enables the transferring of information, including cryptocurrencies like Bitcoin as well as other data, in a secure and transparent manner. Instead of using a centralized system, blockchain transactions and data are validated by, and reside on, a distributed, peer-to-peer network. Once recorded, the information cannot be altered without consensus of that network, adding a layer of trust – not between individuals but in the system itself. With the expansion of blockchain into business applications, smart contracts and more, Kim believed the time was right for blockchain to enter into the UNLV curriculum. 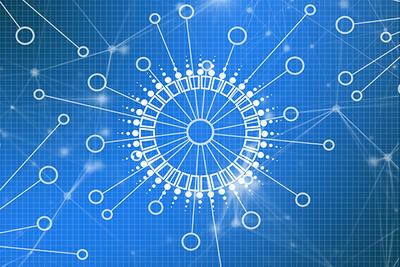 CS 789: Fundamentals of Blockchain Technology, is the first course in this cutting-edge technology being taught at the University. In the academic world, blockchain is still considered to be in its infancy, and few universities are offering classes in the new technology within their degree-seeking programs. UNLV’s course will cover a variety of blockchain topics such as cryptography behind blockchain, consensus algorithms, smart contract, blockchain security, and scalability issues, as well as case studies on Ethereum and Hyperledger, and talks from industry experts. Students will build decentralized applications as a class project on public and private blockchains. Proponents tout blockchain’s ability to provide greater transparency, enhanced security, improved traceability, increased efficiency, and even cost reduction. The technology is being explored to disrupt a myriad of traditional business models including healthcare, financial services, real estate, and more. “Blockchain technology has tremendous potential to change not just our business practices, but our society,” said Kim. Yoohwan Kim is an Associate Professor in Computer Science at the University of Nevada, Las Vegas (UNLV). His research on blockchain includes blockchain scalability, data privacy on blockchain, blockchain architecture, and smart contract applications. He helps the community to learn blockchain technology and build blockchain based applications.